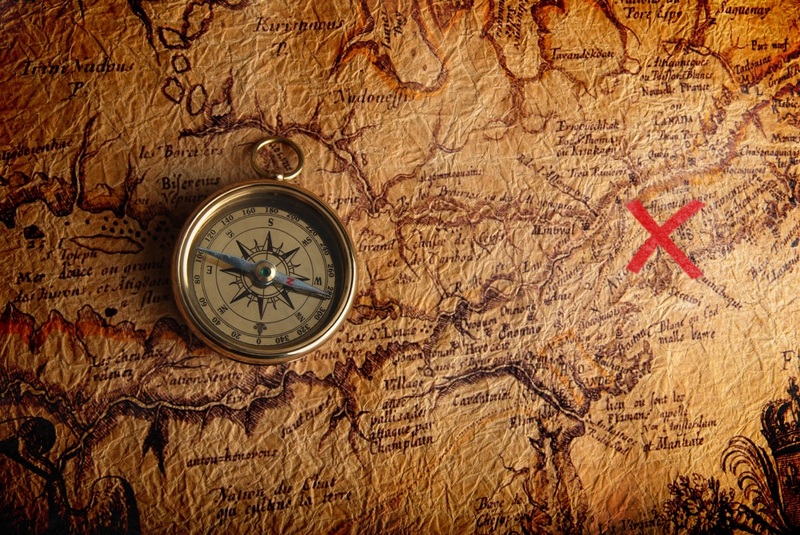 As Gwen Stephanie said: “All the riches baby, won’t mean anything,” and all we have to add is: “Of course, how could they when they are still lost to the world!” So, grab your maps, brush up on history and head out on an adventure that can prove to be very lucrative! Or at least, read this article and learn about the 10 treasures that still remain to be found. It’s fun, educational and… Let’s face it, everybody loves a good list. Emperor Qin Shi Huang holds a pivotal place in Chinese history for being the first person to unite the land of China under one name. Qin Shi Huang died in 210 BC and, to ensure his reign in the afterlife, he had hundreds of thousands of conscripts build him a grand mausoleum as his final resting place. Legend has it that numerous treasures were placed inside the tomb upon its construction. The Copper Scroll is a part of an astonishing collection of documents from the 1st century, originally discovered in caves near Qumran, Israel. These documents are famously known as the Dead Sea Scrolls. However, there are vast differences between the Copper Scroll and the rest of the Dead Sea Scrolls, which makes scholars believe that it might have been placed in the cave at a different time than the rest of these ancient scriptures. Almost everything is different in this scroll as opposed to the rest of them – style, language, even the author is different. Other scrolls were written on papyrus, yet Copper Scroll, as its name suggests, was written on copper and tin mixture. But perhaps the most astonishing reason that flames this theory lies in the fact that, unlike other scrolls which are all basically literary works, the Copper Scroll contains a list. Now we peaked your interest, right? This list outlines directions to locations at which gold and silver are buried, and the treasures are numbered in tons. The list also mentions gems, pottery vessels full of coins, and priestly garments. To sum up, more than 4,600 talents of precious metals are listed on the scroll, making the total treasure worth over a billion dollars. One of the most popular lost treasure stories in the world would be that of King John’s jewels. King John ‘the Bad’ was an English king who reigned over Great Britain from 1199 to 1216. He remains known for his tyrannous way of rule, pettiness, cruel demeanor, but also for his fondness of gold, jewelry and other shiny trinkets which he gladly collected during his sieges. In October of 1216, King John traveled to a port in Norfolk where he contracted dysentery. On his journey back, just to be on the safe side, he decided to take the slower route around this area, dubbed the Wash, so as to avoid going through mud flats and marshes prevalent in the area. Meanwhile, the rest of his men, along with King John’s baggage train which included carts of crown jewels, gold coins and other kinds of jewelry, took the shorter route through the marshes. A bad idea as it was, the men ended up drowning and all of King John’s treasure went down with them. King John himself died a few days later, on the 18th October 1216, so it would suffice to say that his prized possessions died with him. Or… did they? Truly the stuff of many adventurers’ dreams, Paititi is the name of a secret Inca city most probably located in the southeastern jungles of Peru. According to the legend, the Incas have hidden tremendous amounts of treasures in this city back when they were fleeing from Spanish conquistadores. We learn about this legendary city thanks to Incan oral traditions and mainly through the Quechuans, descendants of the Inca people. They tell stories about this period of the Inca civilization, including how they hid most of their gold, silver and precious stones in Paititi. It is understood that Paititi used to be a thriving city situated behind mountains and surrounded by magnificent waterfalls. However, this city has yet to be found. If the tale proves to be true, the person who manages to find this grandiose treasure hoard will be faced with vast amounts of gold and silver, estimated to be in the tens of billions of dollars today. While the richly furnished tomb of the boy king Tutankhamun was found almost a hundred years ago, the tomb of an equally famed Egyptian ruler, Queen Nefertiti, has yet to be uncovered. Although it is unclear what sorts of riches could be found in the final resting place of this enigmatic queen, given her influence and power during her time as the pharaoh’s wife, it is assumed that her tomb would also be filled with tremendous treasures fit for a queen of her stature. Unfortunately, the location of the tomb remains a mystery, and some archeologists are even vouching for it being inside King Tutankhamun’s tomb, in a chamber that has not been opened before. Now we come to the Sree Padmanabhaswamy Temple in Kerala, India. Say that three times in a row, we dare you! Here’s the pronunciation to make it easier for you: Pad-man-ab-haswamy. This temple became one of the world’s most famous treasure troves in 2011 when an underground vault (the vault A) was opened and immeasurable amounts of jewelry, crowns, statues, and items made out of gold and precious stones were unearthed. The estimated value of the total treasure hoard was around 22 billion dollars. However, there is another underground vault that has not been opened yet. Shrouded in legend and mystery, vault B is under strict protection of the Supreme Court of India, which ordered that the vault could only be opened after proper documentation of the articles in vault A. Researches are already speculating on the worth of the treasure that could be hidden inside this elusive vault, and the current estimate is around 1 trillion dollars! The legends surrounding vault B speak of two giant cobras put there to protect the trove from treasure hunters. According to the locals and temple priests in Kerala, anyone who succeeds at opening the vault will be met with dire consequences. One of the most famous legends in the world is the legend of the Holy Grail. This ancient artifact has quite a few different versions of how it came to be, while the most popular one being that the Holy Grail was the cup that Jesus used at the Last Supper. It was later given to Joseph of Arimathea who used it to collect drops of Jesus’ blood and sweat during his crucifixion. This legend goes on to say that either Joseph or his descendants brought the cup to Britain where it was lost. The Holy Grail is believed to be a number of other things, like a dish, plate, or some kind of stone. Whatever the version of the story, they all claim the same thing: that it has special powers, and is supposed to provide eternal youth and happiness. So, move over, botox! It became a central part of Arthurian legends as well, as the Knights of the Round Table sought the relic for many years, crossing Britain from one end to another in their search. Did you know? The Holy Grail inspired numerous movie adaptations like Indiana Jones and the Last Crusade, Excalibur (1981), the Da Vinci Code, and most notable one probably – Monty Python and the Holy Grail. Today, some treasure hunters still believe that the Holy Grail is somewhere out there, and it’s worth, were it to be found, would simply be immeasurable. The Colossus of Rhodes was a statue of the Greek god of the sun, Helios, built in the city of Rhodes in 280 BC. One of the Seven Wonders of the Ancient World Lost forever, it was the tallest statue of the Hellenistic period, standing over 100 feet (30 meters) high, constructed to thank the gods for Rhodes’ victory over Cyprus which invaded Rhodes in the late 4th century BC. It took twelve years for this colossal statue to be built, and the people of its city thought it would stand forever. However, it ended up being destroyed by an earthquake just under sixty years later. Things like where it was actually located and what happened after it was destroyed remain a mystery. Interestingly enough, for years, the statue was depicted by artists as standing with its legs apart, one foot on each side of the harbor. This misconception has been debunked by experts who reason that if the statue had indeed straddled the harbor in such a way, the entire mouth of the harbor would have to have been closed during the entirety of the construction, something that ancient Rhodians could not have afforded to do. Located at the foot of the Vibhaba Hill in Rajgir, India, the Son Bhandar caves are cave chambers which date back to the 3rd–4th century BC. These chambers are believed to hold the eminent King Bimbisara’s treasure, who ruled over Magahda, one of the sixteen ‘Great Countries’ of ancient India, between 542 and 492 BC. Son Bhandar translates to ‘store of gold’ and, according to legend, these caves are where King Bimbisara’s wife hid her husband’s treasure after the latter was imprisoned by their son, Ajatashatru. Etched on the wall of the western cave are inscriptions in the Sankhlipi script. So far, they have not been deciphered, but locals believe that whoever manages to read this inscription holds the key to the treasure. The British endeavored to open the doorway to the treasury in a somewhat roundabout way—by shooting a canon at it. However, their attempt failed, and a dark mark on the upper part of the doorway is still visible from where the cannonball had smashed into it. Looks like knowledge trumps brute force after all. The story of the riches accumulated at the bottom of Lake Guatavita, Colombia, speaks of a chief of the Muisca people of Colombia, who covered himself with gold dust and threw pieces of gold into the water before diving into Lake Guatavita himself. This was done as an initiation rite, in order to appease the water god of this indigenous people. The legend is closely associated with that of El Dorado, the fabled lost city filled with unimaginable riches—however, El Dorado, i.e. ‘the Golden One’ is in fact not a city, but a person—the chief who covered himself in gold dust, and washed it off in the lake. Unfortunately, those who are looking to claim this treasure pile are banned from doing so by the Colombian government. So, there you go. Now you know about the 10 lost treasures just waiting to be found. Do you have to add one? Do it in the comments below, we would like to hear what you think.